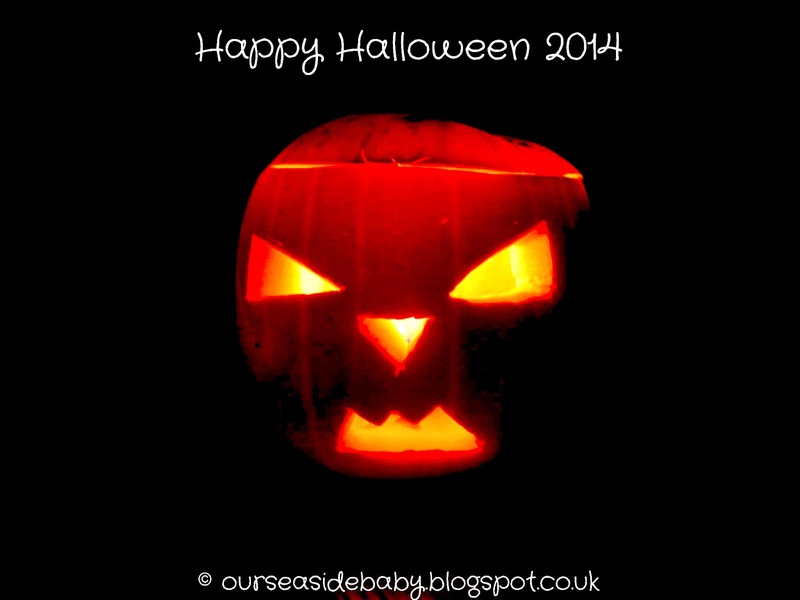 Happy halloween 2014! This photo is our pumpkin from last year. We chopped the top off, scooped out the pumpkin and made soup, carved the face and put candles in it to get this effect. I actually think this one looks quite scary! ;) Today we're going to a little Halloween party, for babies and toddlers. I haven't been to many halloween parties pre-baby so this should be fun. I'll pick up a pumpkin on the way home, maybe just a mini one this time and will do the same as last year. Baby is constantly attracted to lights, he's always pointing to them so I think he will love this. What are your plans for halloween? We have been reading to baby since he was born and at two months we were holding books in front of him and showing him the pictures. Now, at 16 months, he absolutely loves his books. He understands so much, so many of the characters, the animals and sounds and will usually point to whatever you ask him on the page. It’s nice knowing that he can understand more and more of the stories and even if he doesn’t understand every single word there are so many words that he can pick out or perhaps he understands more of the story than I think? 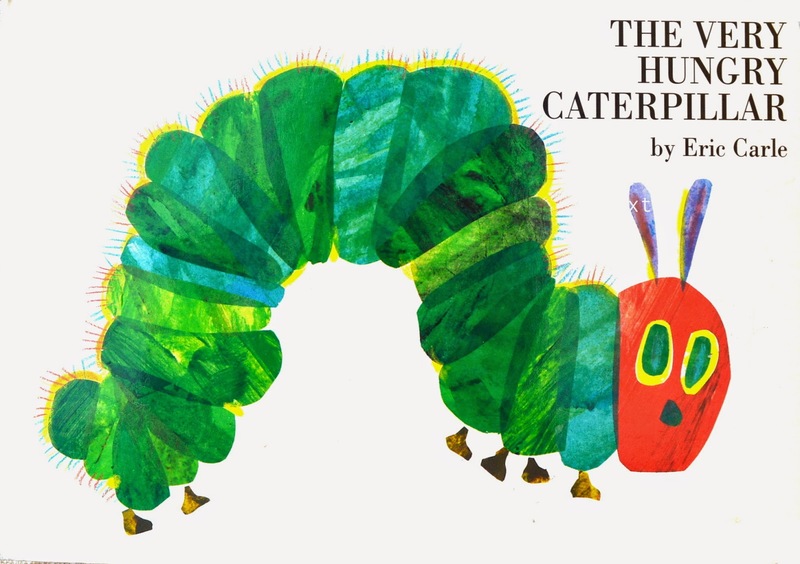 I’m going to list baby’s ten best books in another post but until then happy reading! 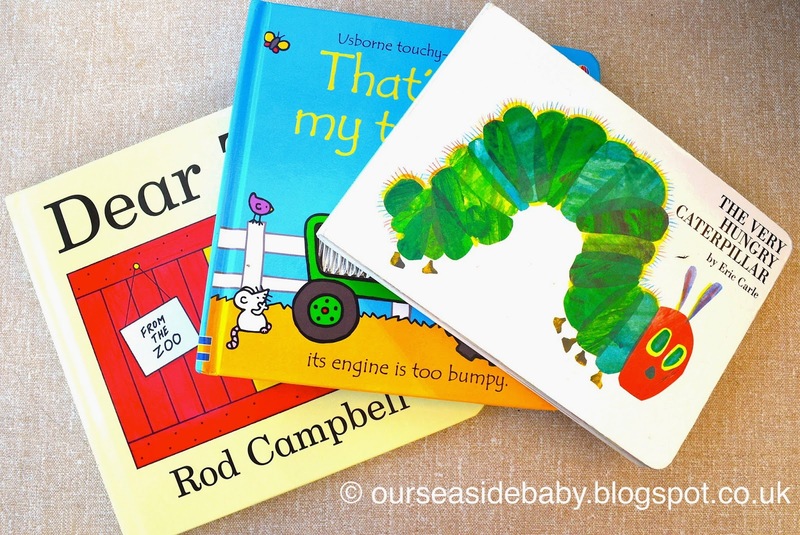 What is your child’s favourite bedtime book? This is one of my favourite meals. I must admit this is not a quick dish but the time is definitely worth it because this is absolutely delicious! 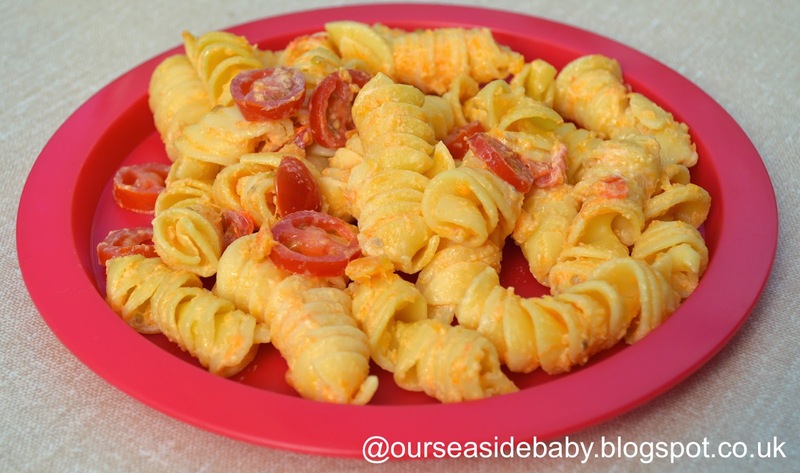 Baby loves this dish and we love it! There are different ways to make parmigiana and I’ve found that by frying the aubergines at the beginning gives the most tasty outcome! Wash the aubergines and slice 0.5-1cm apart. 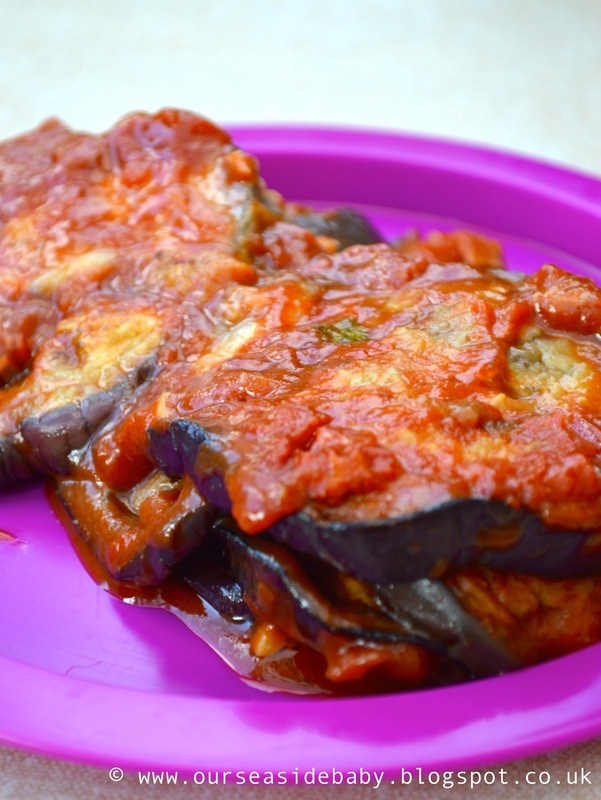 Put one tablespoon of oil in a frying pan and place as many aubergine slices in as possible. Fry on both sides for a few minutes until each slice has softened and browned. A fork should be able to go through easily once done. Lay the cooked pieces on a plate and keep adding new slices to fry. This method uses a lot of oil so add more oil whenever needed. The frying process should take around 20 minutes. Preheat the oven to 190. 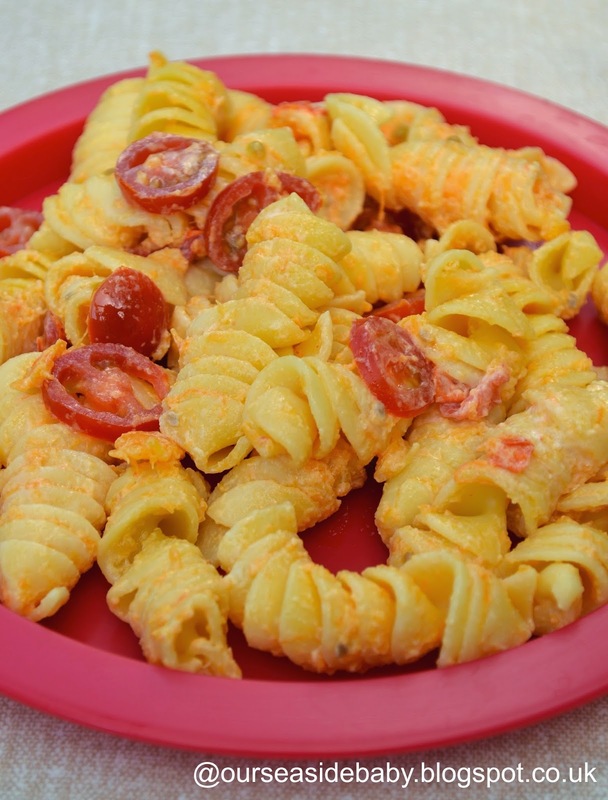 Meanwhile, fry the garlic in another frying pan and when browning add the chopped tomatoes. Heat for 5 minutes. Chop up the basil and add to the pan. Cook and stir for a couple of minutes then turn off the heat. This will bring some amazing flavour to the dish so the more basil the better! When all the aubergine slices have been fried it is time to put everything into a big oven dish. Add a little of the tomato mixture on the base of the dish and cover with a layer of aubergine slices. 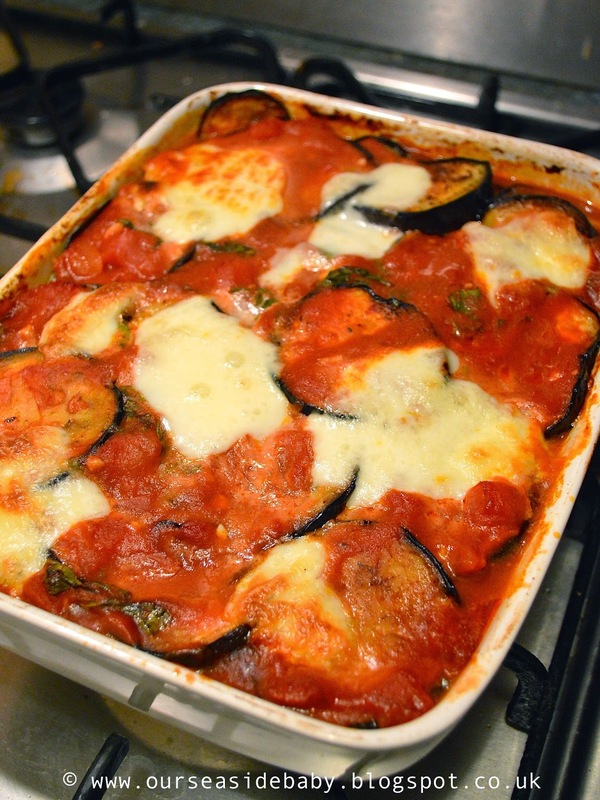 Keep adding another layer of tomato and aubergine slices and finish with a layer of tomato. Slice the mozzarella and add to the top of the dish. Add a sprinkling of parmesan or vegetarian substitute for more flavour. Bake for about 25 minutes. Check that the food is soft enough for baby. Mash/chop food depending on baby’s age/teeth. Serve with bread and green salad for adults and rice or other green vegetables for baby. 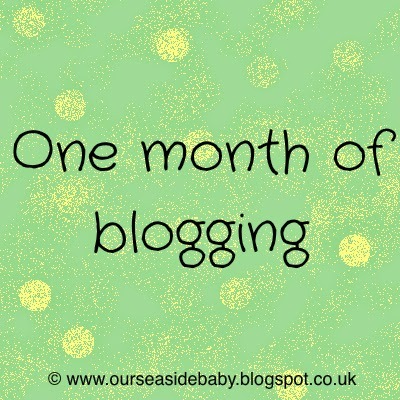 One month of blogging: 15 thoughts and experiences to date! 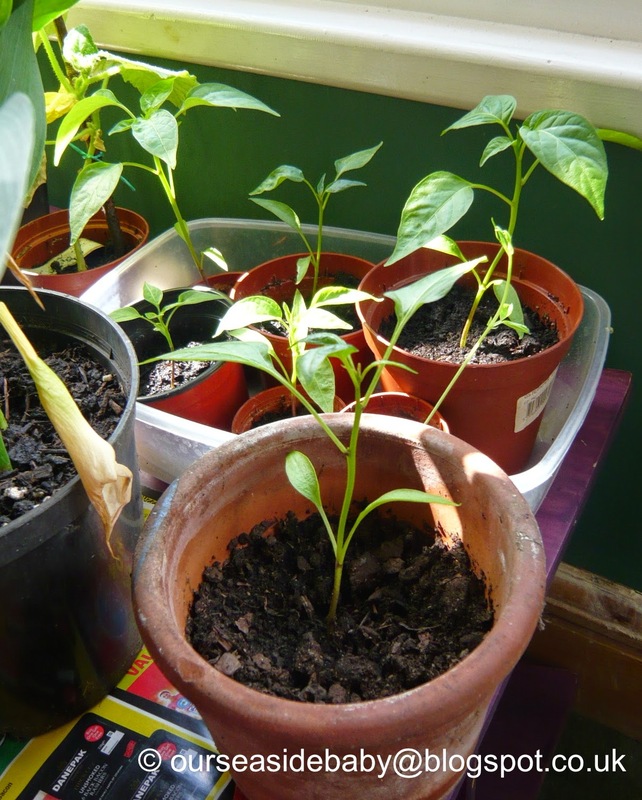 It’s been over one month since I started blogging, woohoo. I wrote my first post on 18th September. In some ways it feels like months ago and in other ways it still feels like I’m so new to the world of blogging so thought I’d share my thoughts so far. 1. Writing. I started a blog because I love writing. And of course, blogging gives me the opportunity to write to my heart’s content, it’s great! 2. Chose any subject. 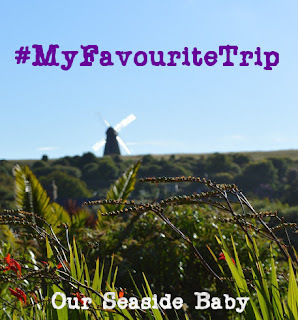 My blog is a parenting and lifestyle blog so naturally I write mostly about baby or baby related subjects (I am interested in other things too though…honest!). It’s great that you can write about anything you desire. 3. Blogging is fun. Blogging is my own little project, an insight into my life and thoughts and it’s fun creating that. 4. Publish instantly. I have written articles in previous jobs, some of which were published immediately and some that took a long while to write, even longer to edit and get reviewed. With blogging I check over what I’ve written but once it’s done I click and it’s published instantly! 6. Creativity. 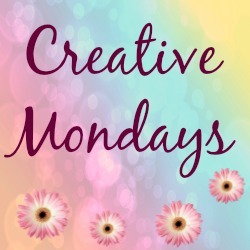 I had no idea how much creatively can be included in a blog. You can design your header, background, logo, banner, advert etc. If photography is your passion it’s a great way to use photos on your blog. The sky is the limit! 8. Constant learning curve. Whether it’s choosing your page design or interacting on social media it’s all a learning curve and it’s nice that I’m getting to grips with this whole new world that I didn’t know about previously. Can you get an honorary degree in blogging? Hah, that would be nice! 9. Discovering new and interesting blogs. There are so many great blogs out there. I wish I had the time to read them all! There are very popular parenting blogs and then lesser-known, new bloggers, like me, that I love reading. There are blogs that are so wonderful and honest, those that are heartbreaking and other ones that make me laugh so much. It’s great reading a snippet of a post or in some cases trailing through older posts because I’m already hooked! 10. Online community. 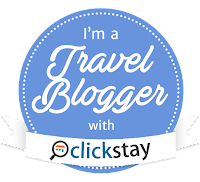 There is an amazing online community of bloggers that I wasn’t aware of before. 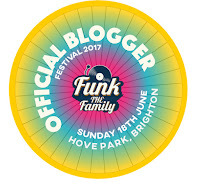 I’ve joined some local Brighton groups on facebook and it’s wonderful to see so many local bloggers. I would love to meet these people in person! 11. Social networking. There is twitter and facebook which I have set up. Then there is Instagram and bloglovin and pin interest and google friend connect, and google plus. Arghhh! Too much. Social media is a great way to ‘meet’ people and promote your blog but I can see where all my time could go. I find twitter a great way to connect and discover new people and it’s very time efficient. For now, my main focus is writing and I think social media will be a thing that comes in time. 12. Blogging as a career. This is all new to me. You can make enough money from blogging for it to be your full-time career!!!! Wow! 13. Terminology. There is a whole new dictionary for blogging. I’d never heard of ‘Linkys’ in pre-blogging life and now I hear or rather read the term everywhere! 14. Finding the time. 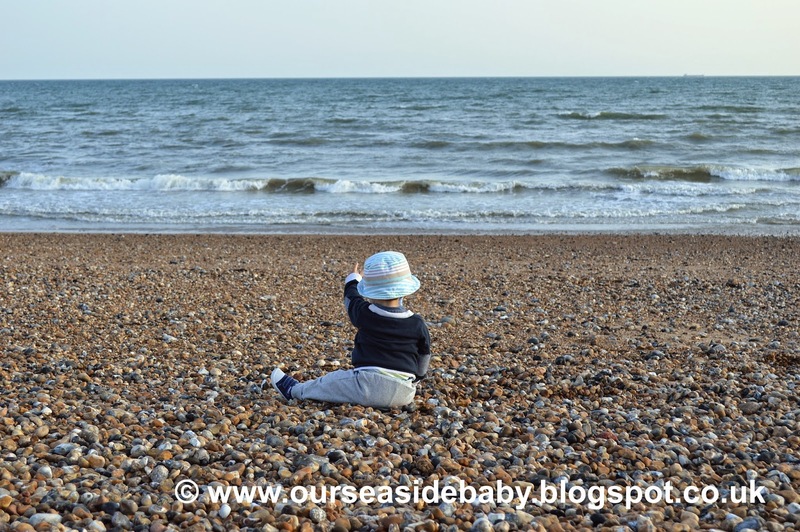 Being a stay at home mum means my time is already stretched so I don’t have much time for blogging. Some bloggers seem to be online all the time and I wonder how they fit time in around a full-time job or baby. 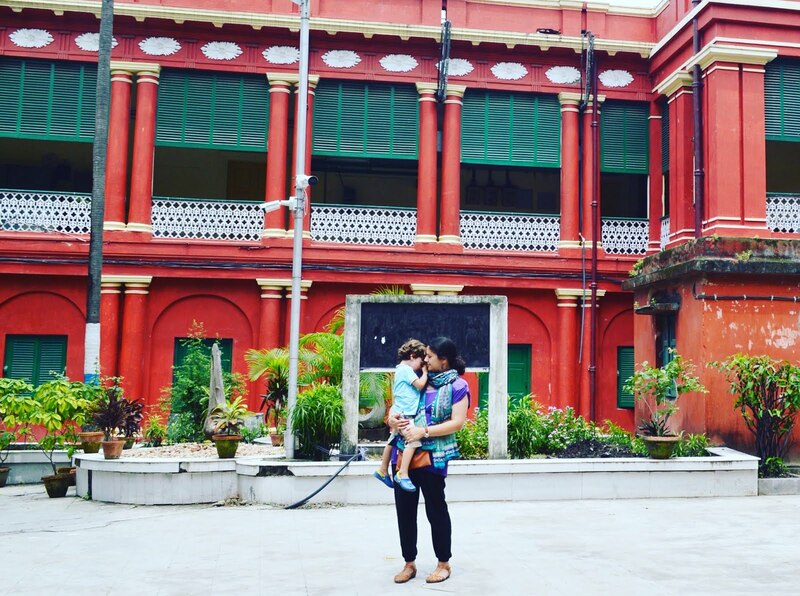 I usually write posts when baby is napping or some evenings after he’s in bed. That’s the flexible thing about blogging. A little time here and there makes up a post. What are your experiences as a blogger? 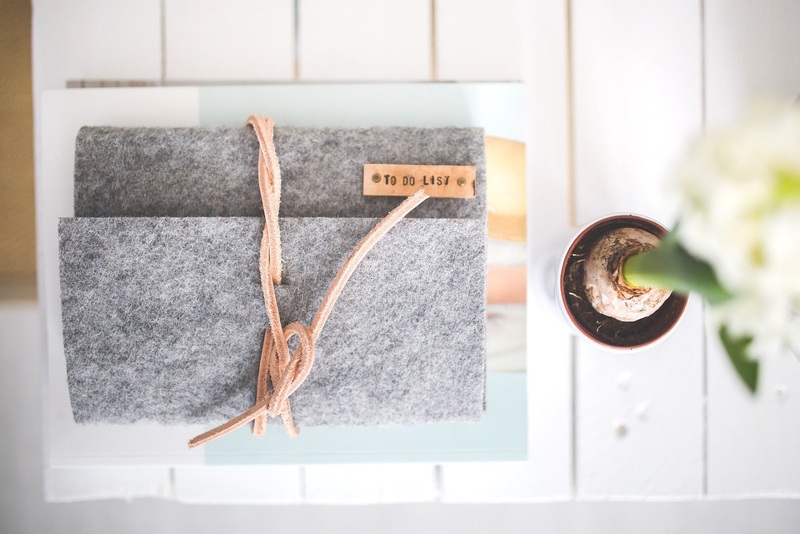 Have you just started out or have you been blogging for years? It would be great to hear your thoughts. 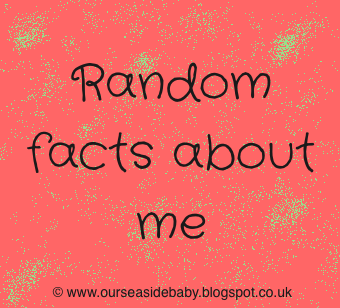 Have you shared random facts about you on your blog? Side note: I don’t add any salt or pepper to baby’s food but we added a bit of each to the adult portions once on our plate. October already! Actually it’s my favourite month of the year. This week I was craving some greenery so decided to go to Hove park. We don’t live nearby but thought it would be nice to have a bit of a change. Going to the same old local park can get a bit boring can’t it! The sunshine was out all afternoon and the park was full of babies and kids enjoying the last bit of warm weather. Baby loved it. He loves walking, loves playing with his ball, loves going to the park, loves watching the bigger kids, loves exploring and looking at everything around him. I am constantly following him around! Autumn is a beautiful time and I love this season. 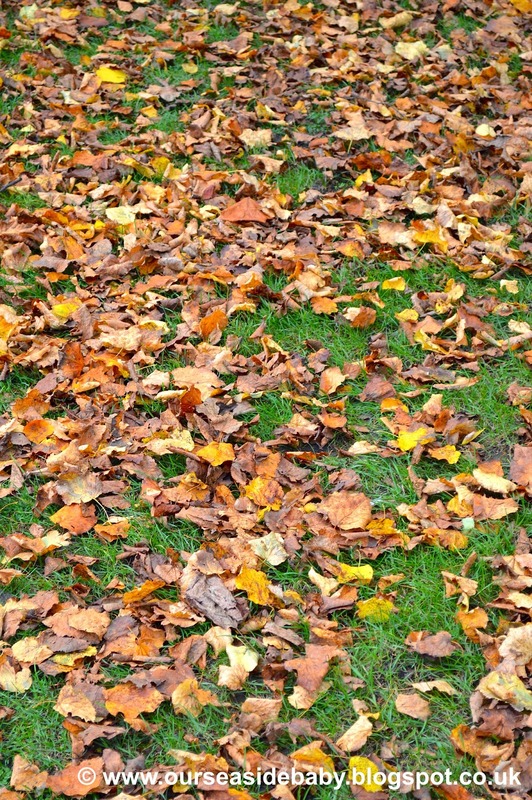 The warm colours, the leaves changing into the browns and reds, the sun lower in the sky, the snug clothes - knitted cardigans - and cosy nights in with a hot chocolate or a glass of wine or two when baby is in bed. I tried to capture the essence of Autumn in some photos from the park. What have you been up to this week?